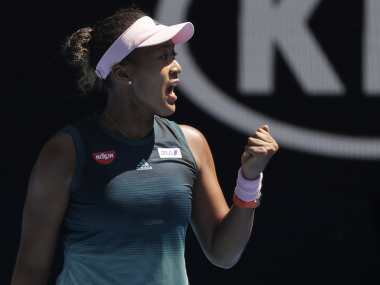 Paris: Germany's Angelique Kerber became the first women's top seed in French Open history to lose in the opening round when she was knocked out by Russia's Ekaterina Makarova 6-2, 6-2 on Sunday. Before this year, the earliest exits suffered by a top seed were in the second round -- Justine Henin in 2004 and Serena Williams in 2014. Kerber admitted the pressure of being world number one was beginning to eat away at her fragile confidence. In the men's singles, it has only happened once when Stefan Edberg made a quicker than expected exit in 1990. For Kerber, it was a second successive opening round defeat in Paris after losing to unseeded Kiki Bertens of the Netherlands 12 months ago. "I know that I have to be ready 100% from the first match," said Kerber, who recently regained the world's top ranking from Serena Williams. She may be the US Open champion but the crown of being the world's best player is not sitting well with her. In the clay court season, Kerber lost her opener in Stuttgart where she was the defending champion, suffered a thigh injury in the third round in Madrid and lost first time out in Rome. Defeat in the Italian capital was at the hands of world number 68 Anett Kontaveit -- her worst loss in 18 months. Mercifully for left-hander Kerber the clay season is over and she can look ahead to the grass courts and Wimbledon where she was runner-up last year. "The pressure is always there. 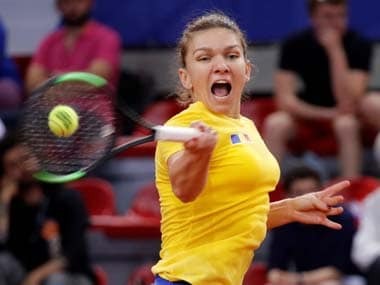 This year, the expectations are much bigger, especially in the big tournaments and the Grand Slams," added Kerber, who won her first major at the Australian Open in 2016. "And the expectations from me also are really big because I know what I can do and what I did last year. 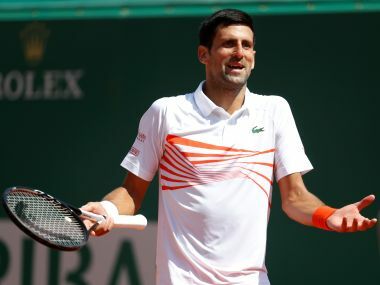 "But right now I think that I have to find to myself again and just try to forget the clay court season as soon as possible and then reset and start from the grass courts again." Makarova, meanwhile, goes on to face either Lesia Tsurenko or Kateryna Kozlova, both of the Ukraine. "At the end of the match, it was really tough as I knew she wouldn't give it to me -- I had to win it." On Sunday, Kerber fell a double break down to trail 5-1 to her 28-year-old Russian opponent who she was facing for the 12th time. Makarova, now ranked 40 after reaching a career high of eight, was a double break ahead again for 3-0 in the second set. Four successive breaks of serve followed before Makarova saved seven break points in the crucial eighth game to cause the upset.